Courts Malaysia, is a consumer electronics and furniture retailer in Malaysia with a network of 60 stores nationwide and a staff strength of 1,100. 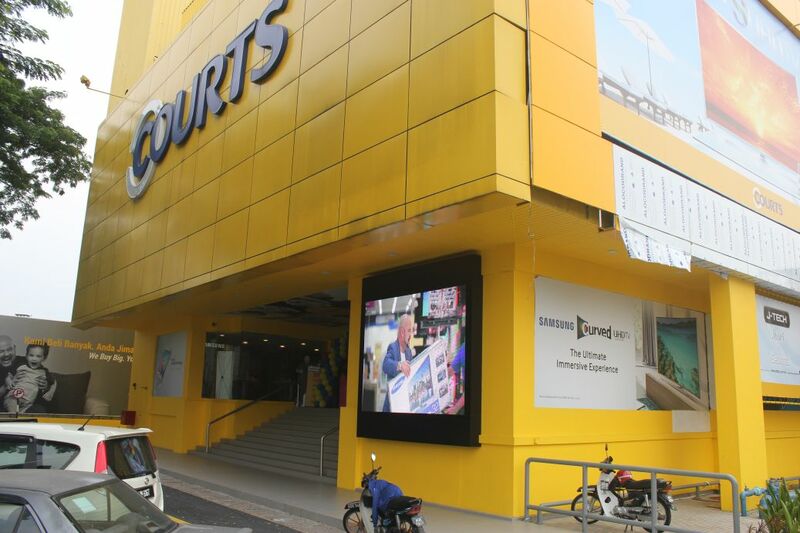 Courts has been operating in Malaysia for over 27 years. Courts had been using newspaper and TV channel as their medium to advertise their products and services. 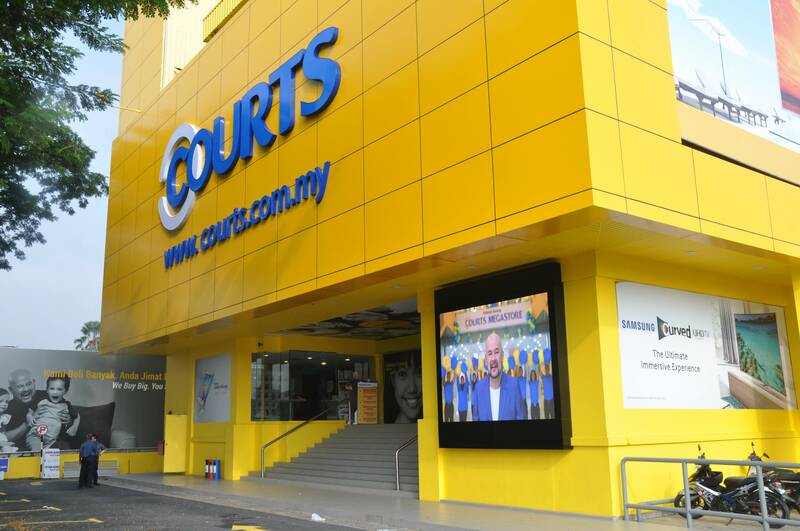 They accepted LEDtronics’ proposal to build an LED digital billboard at their main store at Setapak, facing one of Setapak’s busiest road, Jalan Genting Kelang. This digital billboard is an alternative to their traditional advertising medium, which is more efficient and effective to reach out to nearby audiences. 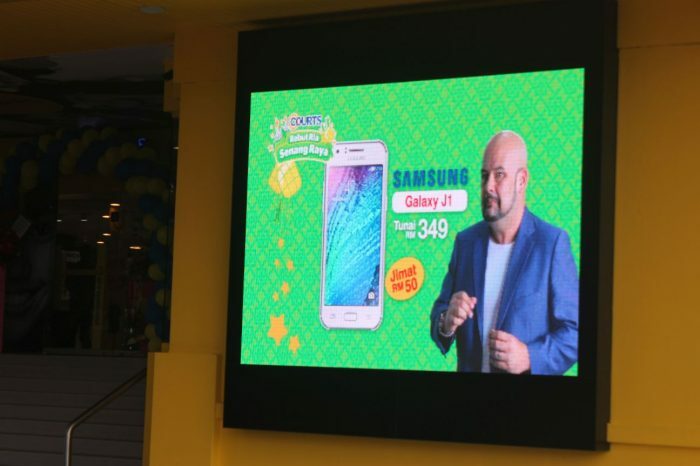 This display incorporates outdoor SMD LED, which has better viewing angle and better colour emission for outdoor wide-angle viewing experience. 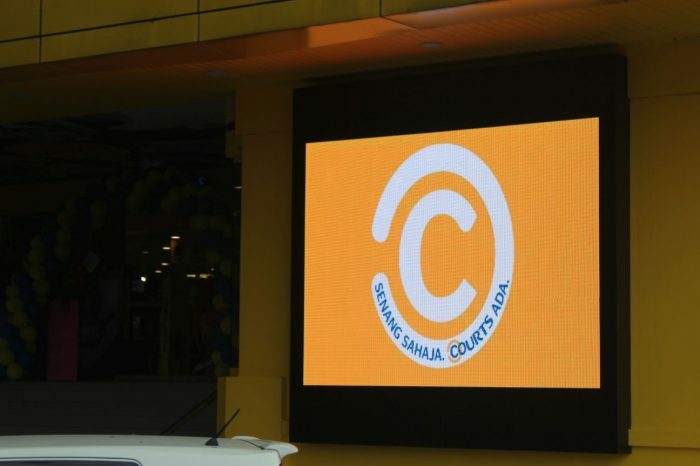 At a pitch of 8mm, it is suitable for close viewing distance, while providing great image quality, high contrast ratio and high energy efficiency.